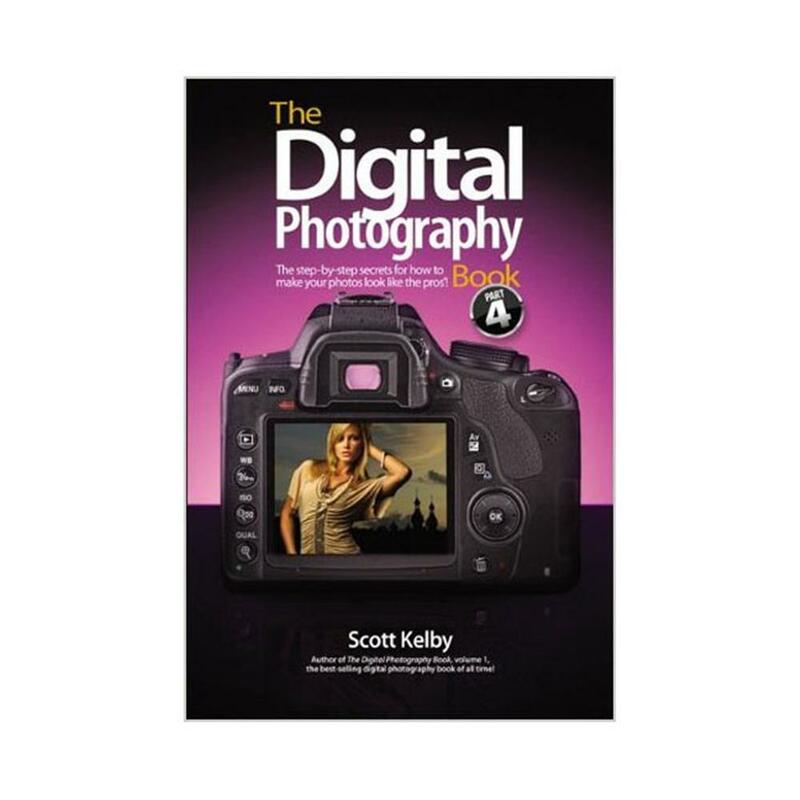 Scott Kelby, author of The Digital Photography Book (the best-selling digital photography book of all time), is back with another follow-up to his smash best-seller, with an entirely new book that picks up right where volume 3 left off. It's even more of that "Ah ha, so that's how they do it," straight-to-the-point, skip-the-techno-jargon stuff people can really use today, and that made volume 1 the world's best-selling book on digital photography. Each page covers a single concept on how to make your photography better. Every time you turn the page, you'll learn another pro setting, tool, or trick to transform your work from snapshots into gallery prints. If you're tired of taking shots that look "okay," and if you're tired of looking in photography magazines and thinking, "Why don't my shots look like that?' then this is the book for you. This isn't a book of theory, full of confusing jargon and detailed concepts. This is a book on which button to push, which setting to use, and when to use it. With another 200 of the most closely guarded photographic 'tricks of the trade," this book gets you shooting dramatically better-looking, sharper, more colorful, more professional-looking photos every time.